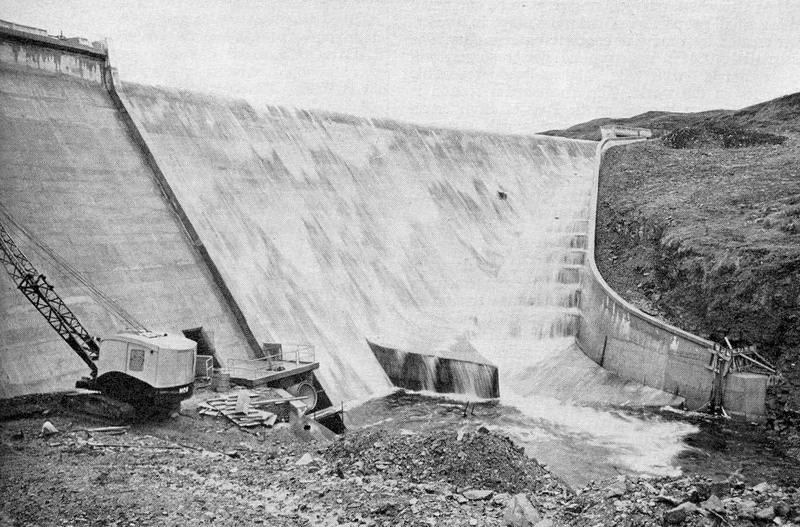 Nant, commisioned towards the end of 1963, was one of the last conventional hydro stations to be built by the Hydro Board. Nant is a small station, capacity 15MW. The Nant dam, 1220ft long and 93ft high, considerably enlarged loch Nant. 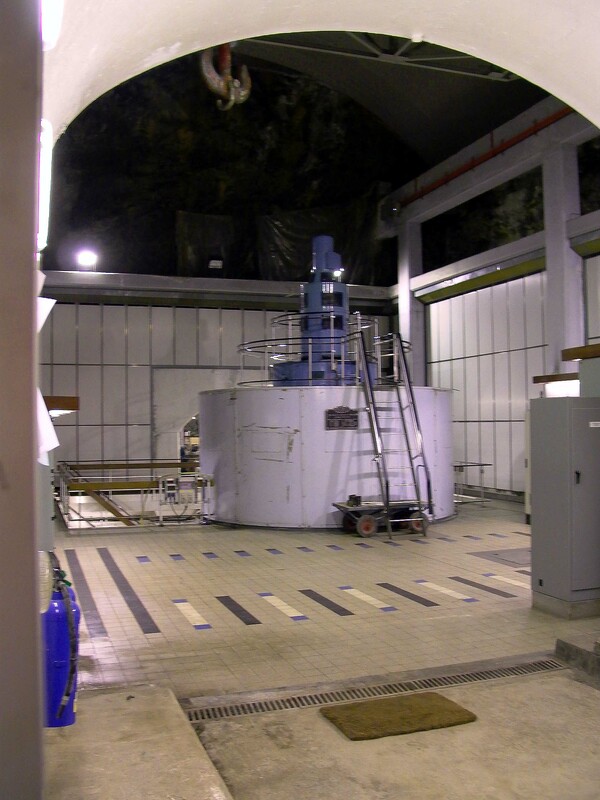 From an intake tower on the South shore of Loch Nant, water is led by tunnel to the underground Nant power station, operating under a head of 535ft. 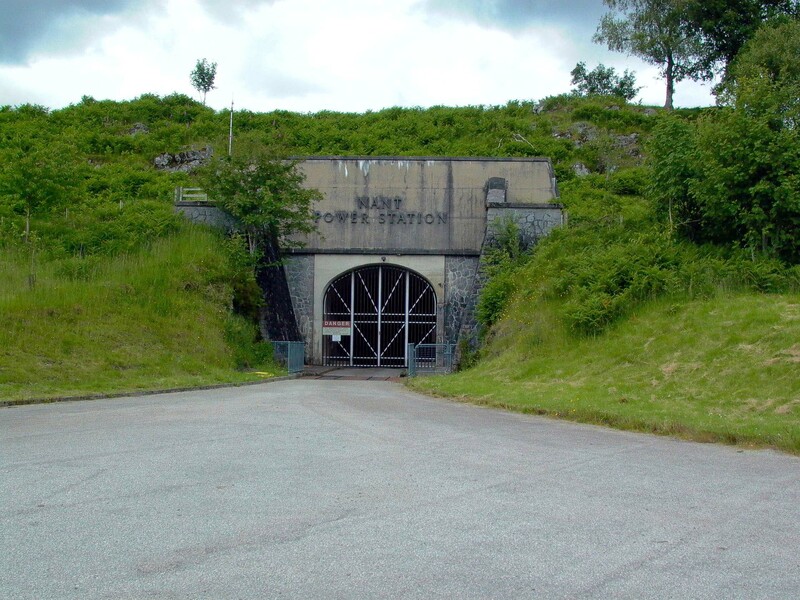 The Fionain aqueduct and tunnel system, 5 miles long, captures water from the slopes above Loch Awe and leads it into the surge shaft, providing additional water for the turbine. There are 35 images of Nant in the Records, and 6 webpages. They may all be accessed via the map at the bottom of this page, which is a clickable image map. Each area selected will open in a new window. The dam and water intake lie a long way up a private road behind a locked gate which I have yet to successfully pentrate! 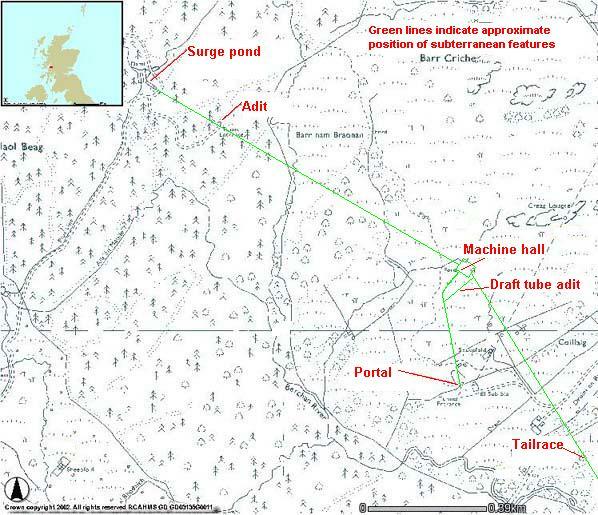 Thus, the only image of this part of the scheme is from archival material. A short video sequence touring the machine hall exists but is not yet online.